Going back home always brought me with a special feeling. Been parting from home over many years always makes me feeling nostalgic. I noticed every differences it had every time I was on my way home from the airport. The roadside that used to be greeneries, now it had been built with high floor concretes. The big stadium that used to be the ground for us playing sport or holding other events - the spot where I was caught by police when I rode my motorbike with no helmet on passenger side - had been changed into stretches of shopping malls, hotel and offices. but I definitely missed so much what I used to call home. So they like you. Do you like you?" The music was played from the radio inside the salon that I brought my son into. It was very crowded, as crowded as the wet market. It's the eve of Chinese New Year and everyone wanted to impress their relatives and friends with their new haircut or hairstyles. Curly hairs, straight hairs, bob cut, fringe mode on, and many more. Manicure, pedicure, creambath, and massages. All could be done at the same time. Everyone who went out from that door turned beautifully and glamorous. They looked just like a superstar! I looked myself in the mirror. Holding an auntie's cloth handbag on my hand. Sometimes I wondered if people would think that I was my son's maid instead of his mother. Perhaps maids would look more beautiful and presentable than me. Should I count themselves lucky to stay in a country where things like this were cheap and affordable? whereas my salon trip could be as rare as once-a-year event. My one time haircut and treatment price in Singapore was like four or five times in Indonesia. I never visited places for manicure and pedicure too as I didn't like the feeling my fingers being painted with one thick layer on it. I felt suffocated by doing so although sometimes I'd love to see the shiny colors painted on a long nail. I didn't wear lipstick as I didn't like the dried and cracked feeling on my lips. I never drew my eyebrow or drew lines around my eyes, because I just never bothered myself to be designed like that. Sometimes I even wondered if I could call myself a 'woman'. So they like you. Do they like you?" Their car was fully equipped with branded sound systems and connected their iPhone with it. They held branded bag from Paris, Italian branded high-heeled shoes, and wore superstar replica dress from America. They drove that flashy big new car next to big trucks, rusty public bus filled with sweaty passengers, three-wheels noisy and smokey public transport, with beggars and street vendors along the over crowded, hole-filled road, bravely. If I chose to stay in this country... would I be like one of them??? You don't have to try..."
It just took me a moment before I realized that all that was temporary and over time it would change. Instead, why don't we focus on living life meaningfully and living our lives with no regrets? And yes, I like you..., said me, looking at the mirror, once again. Ren Ri 人日快乐! Happy Birthday!!! Happy Birthday everyone!!! 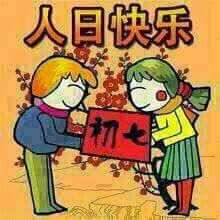 Today is 7th day of first month Lunar calendar and as Chinese believes, today is everyone's Birthday!!! To be honest I almost forgot about it. Recently I have been occupied with lots of work as one of my colleagues left and we haven't found any replacement yet. Therefore, I have to do her work and up to today there has no sign of the new staff yet. My hubby has also been busying himself with his new career as a Taxi driver. He occupies his mind mostly with work and more work. While my son has been busy preparing for his ongoing exams. Wishing you and your family happy birthday!!! Just like his previous book, “Who Ordered This Truckload of Dung” that I read before, this book consists of short stories collections. Very easy to read and digest. 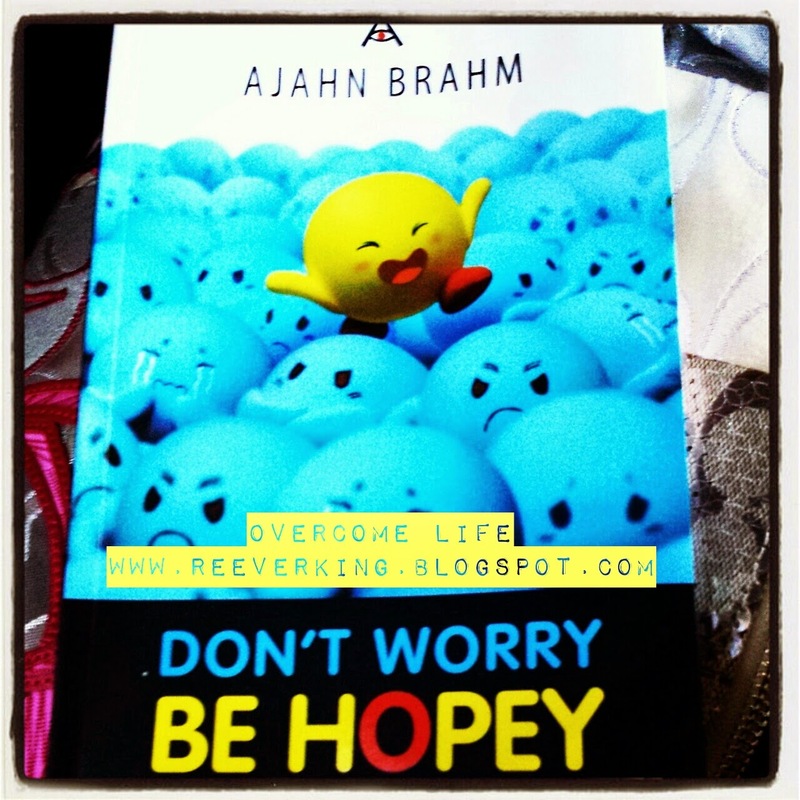 “Don’t Worry Be Hopey” is written in Indonesian language. 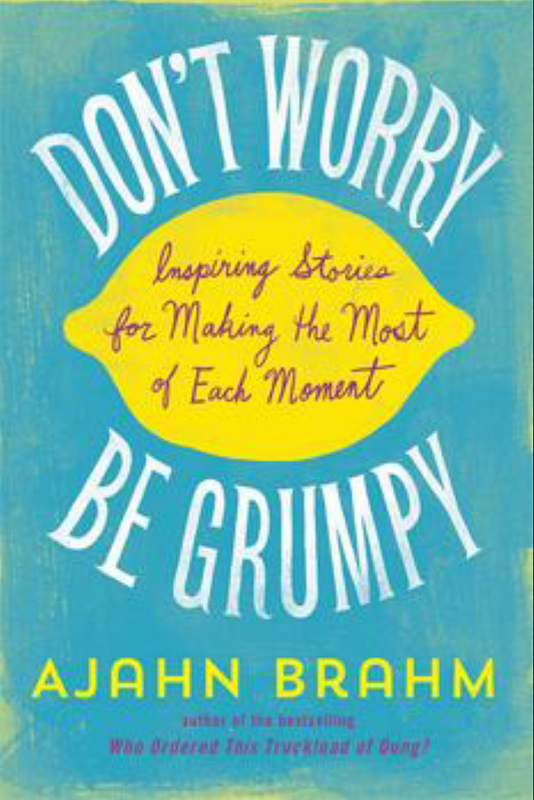 But don’t be disheartened as you can find this book in English version with a title of “Don't Worry, Be Grumpy: Inspiring Stories for Making the Most of Each Moment.” It’s more or less having the same content. Lower your expectation – Man wants to have a beautiful wife. Woman wants to have a rich husband. Both of them should have lowered down their expectation in order to be happy. When a man marries with a beautiful girl, he will get jealous and feel uneasy for the rest of his life, worries that his beautiful wife will one day be stolen or attracted by other guys. If he chooses to marry an ugly woman, he doesn’t have to worry about anything like that. Click here to get the feeling of the other stories inside the book and if you like it, buy one for yourself if you happen to find it in the book store at the country where you stay and lend it around to others so that they can learn some lessons from there too. P.S. Hopey means the opposite of worrying. Remaining hopeful; so as not to hold fear, anxiety or worry. I would like to wish everyone a very Happy Chinese "Goat" New Year and Losar Tashi Delek for all my Bhutanese friends!!! Wish all of you are blessed with good health, wealth, luck, life filled with lots of love, joy, peace, and happiness all through your life!!! how we complete each other. 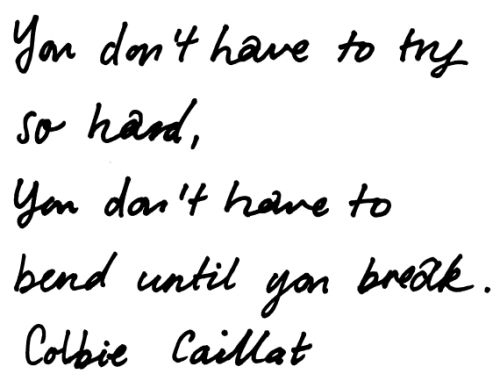 as I'll always in your heart. but what I love is simple. when I was still on my sleep. Thank you SB for letting us be together in this life. A lovely mother to a four-year old daughter (Dechen) who loves ‘Frozen’ so much, Kuenzang Lhadon or usually called Kuenza, struggles very much in balancing between her career and family life. Just days before she landed in Singapore, she had to travel, walking relentlessly from one village to another, back in Samtse, southwestern part of Bhutan for more than two weeks, leaving her family who were staying in Thimphu. Working with government sector, she didn’t have much choice but to follow whatever things required to do. Even though the internet connection was quite limited back in the village, we still found time and way to communicate through Facebook. Since we were both busy and occupied with other things, we only met on her third day here. She came here for four-day training together with one colleague, Sonam Penjor, a lucky father of 4 year-old boy and 6-months baby boy, who originally came from Chukha, also southwestern part of Bhutan. 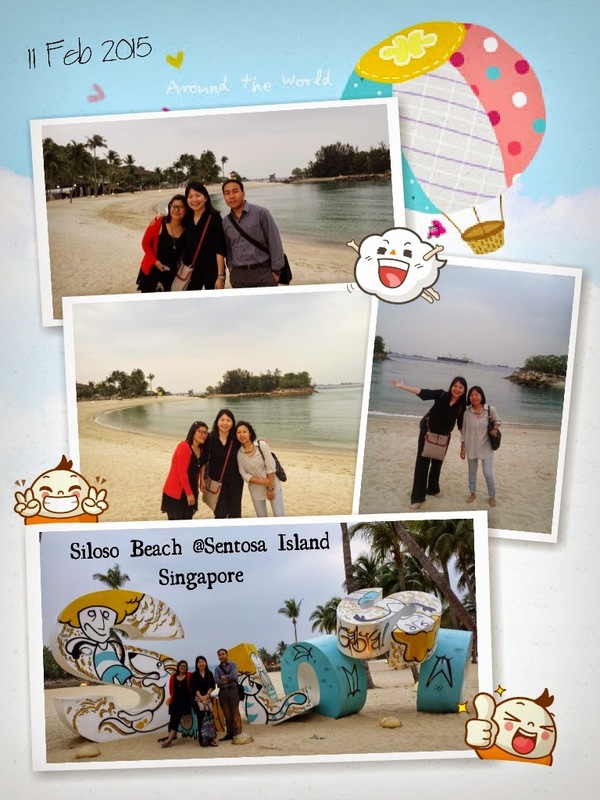 After that we took a monorail to see different parts of Sentosa. I thought of bringing them to glance at the RWS Casino but they were afraid it would be too late for us since we still wanted to go for dinner and shop in Mustafa. So we left the island and headed to Little India, to feel the atmosphere of India. Once done, we walked to Mustafa Centre, a 24-hour giant shopping mall in Little India area. It’s very famous place among Bhutanese as they can find many Indian things and food there. They are familiar with the language too and will make them feel closer to home. They were there buying some stuffs. At about 10 pm plus I had to go back home. The next evening, which was yesterday, we met up again. This time we met up at Chinatown. 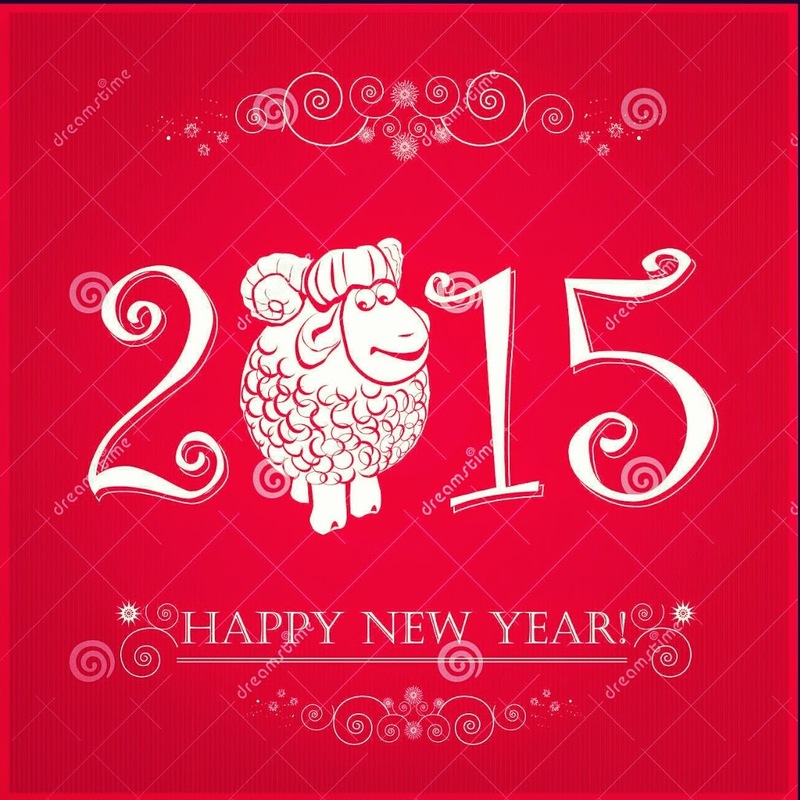 Chinese New Year is coming next Thursday, falls same with Bhutanese Losar. Here you could feel the atmosphere that was quite different – livelier and more insane. 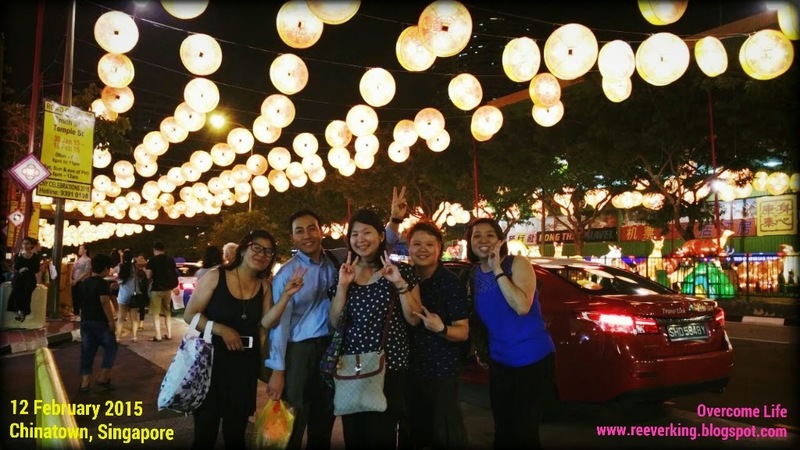 People from many different countries came to this place for feeling the festivities, taking beautiful photographs, having dinner with friends and families, strolling in a cool and breeze evening, shopping, and so on. There were stalls set up especially for this event. Road was even closed to accommodate the visitors and sellers. 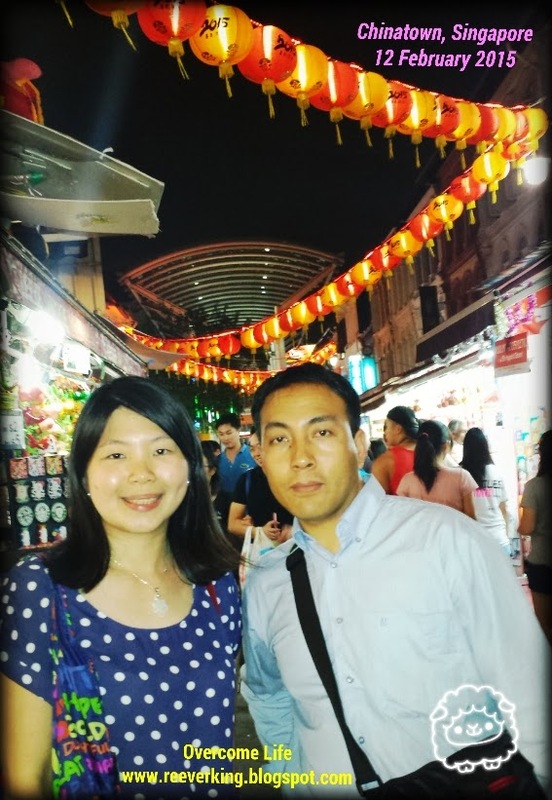 It was Kuenza and Sonam last night in Singapore and they did their last minute shopping in Chinatown, a perfect place to buy as they had more varieties and good prices as well. I almost lost them while they were shopping hahaha…. 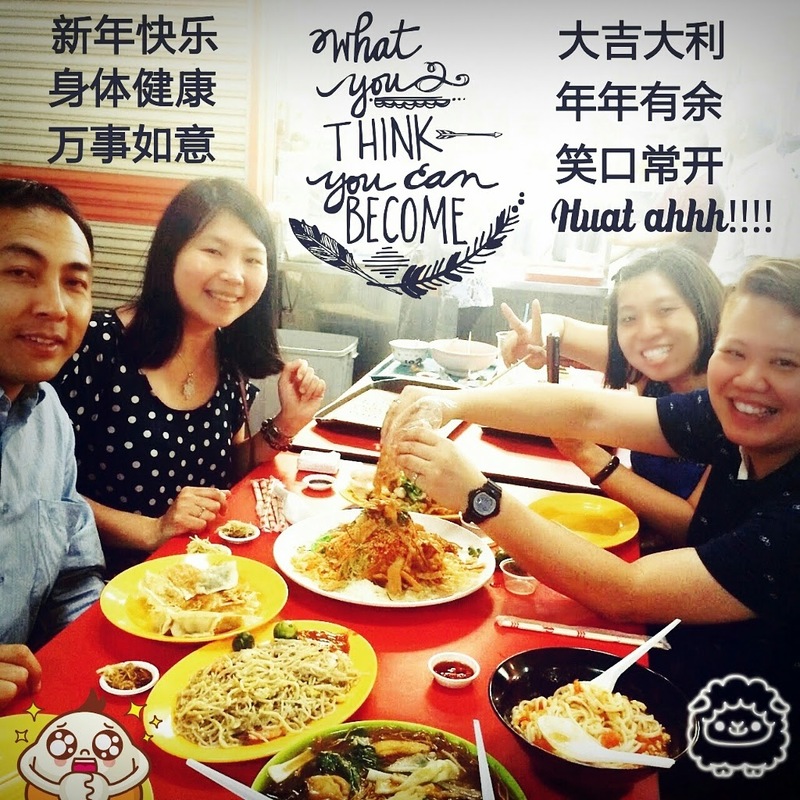 I brought my two besties as we wanted to gather and reunion before the Chinese New Year day as we all would be very busy in days to come and some would return to hometown to celebrate with family. We had dinner at the Chinatown market level 2. I loved visiting this place. Although it looked old and not fancy, you could feel the atmosphere of what local did on their day to day activity. 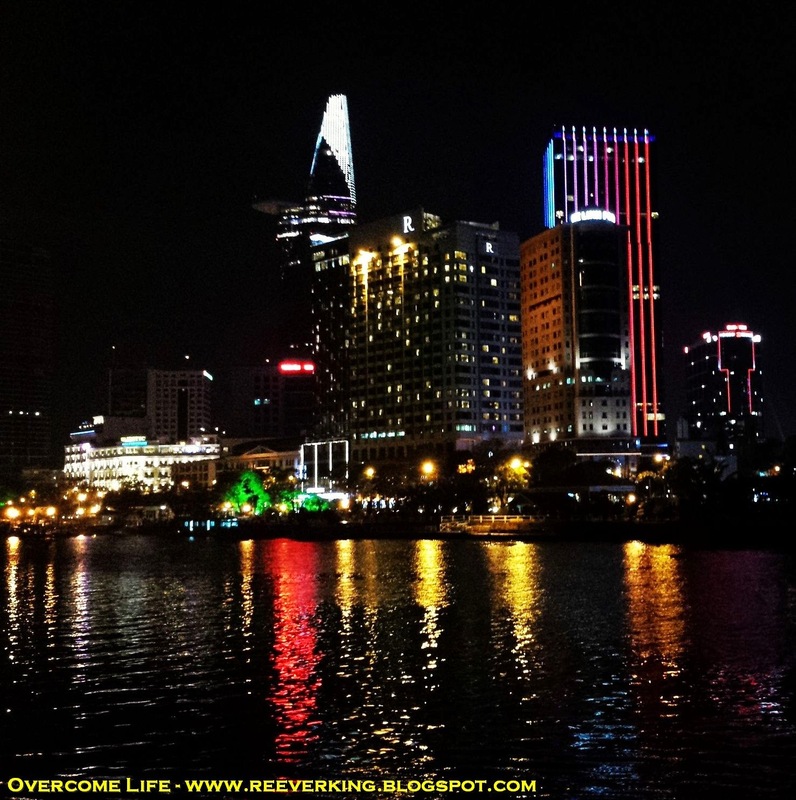 You could see the real Singapore here rather than the usual food center designed for tourists. You could easily detect which food stall was famous by the length of the queue in each stall. The longer the queue, the better the food usually was!!! I accompanied Kuenza looking for her vegetarian food. She found herself noodles with tomato and egg while my bestie, ET, accompanied Sonam choosing his favorite food and some other local dish to try. 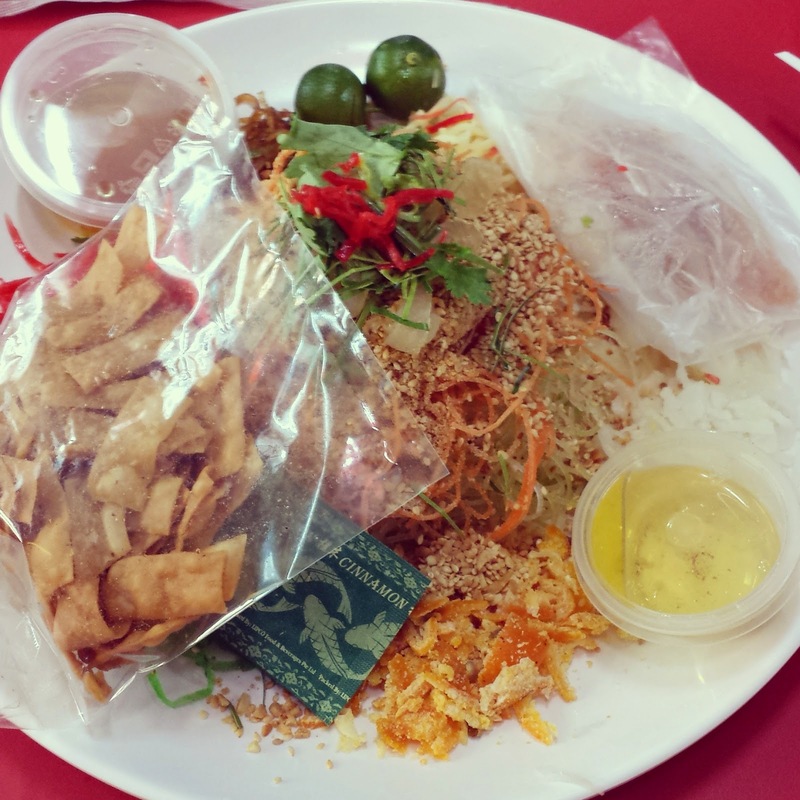 PY went back to the alley to find Yu Sheng (鱼生) or Lo Hei (捞起) in Cantonese, meaning Prosperity Toss, mixture of shredded vegetables, pickles, oil, plum sauce, pepper, cinnamon powder, grated peanut, lime, and the most important ingredient, raw fish. This dish symbolizes the abundance and prosperity. Do you see the plate above? Some of the ingredients were still covered inside the container and we had to assemble it one by one. While pouring it, we also had to shout out the auspicious words that represent the meaning of each ingredient. Read more about the prosperity words we shouted on this post. 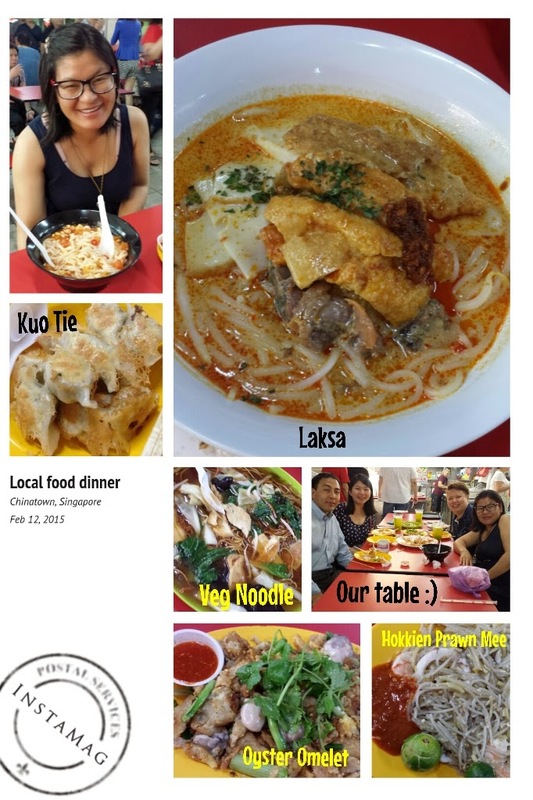 We also ordered few local dishes for Sonam to taste, such as: Laksa (thick rice vermicelli in a rich coconut gravy soup added with slices of fish cakes, fish ball, cockles, tau pok or fried beancurd, and spring of laksa leaves), fried oyster omelet, fried Hokkien noodle, and kuo tie (deep fried dumplings). 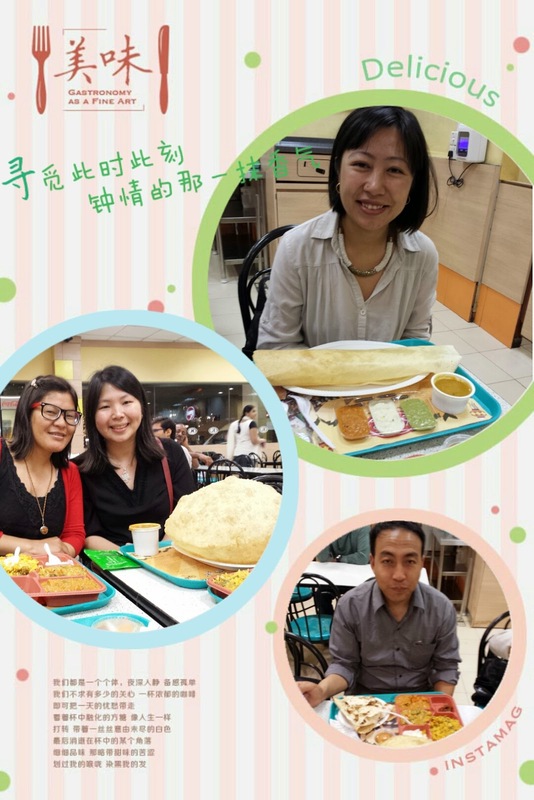 We ate until very full then ready to shop around again hehehe….. After taking few snaps to keep the memorable gathering, we then separated and went back home. 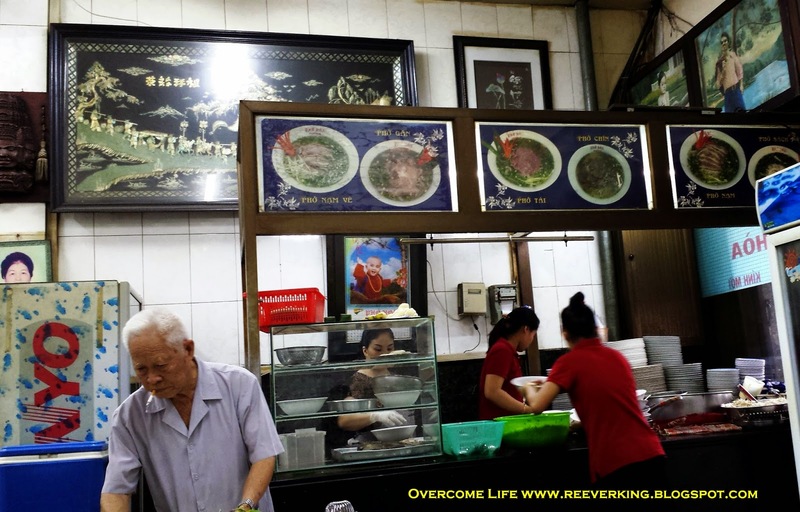 The journey continues... After having a delightful local breakfast, we went to Chợ Lớn, area dominated by Chinese – or so called Chinatown. 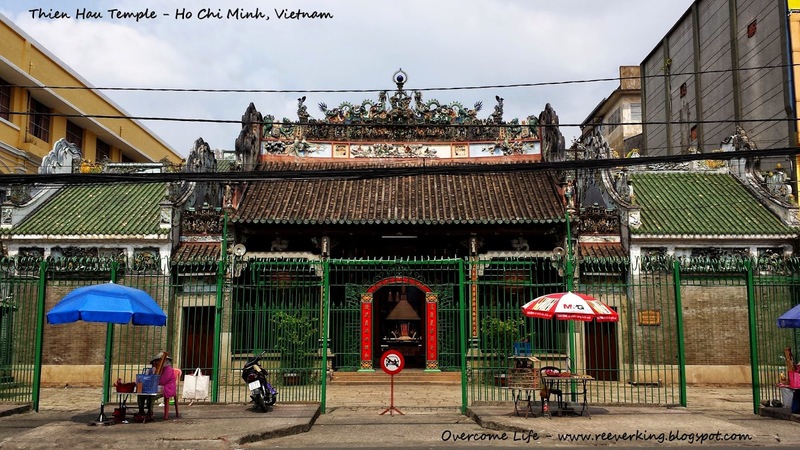 We took a taxi to visit Thiên Hậu Temple or Chùa Bà Thiên Hậu, one of the oldest traditional Chinese Temple in Ho Chi Minh (built in 19th century) to honor the Lady Thien Hau / Lady of the Sea (in Chinese, known as Tian Hou or the Mazu (媽祖)– a very well-known Goddess, believed as a protector of fishermen and sailors and usually worshipped in the coastal regions). 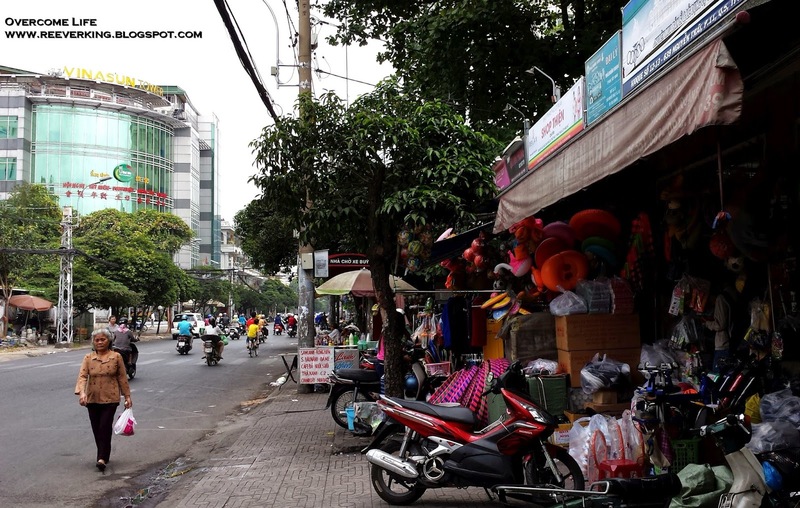 The address: 710 Nguyễn Trãi, phường 11, District 5. The interior was beautiful, very ancient and picturesque, especially the diorama made of porcelain that decorated the roof, surrounding the courtyard, where many spiral incense coils were hung on the ceiling, looked like a very typical old Chinese temple that you could find it elsewhere. You could write your name on the red paper that was attached to each coil. Prayers believed that their prayers and wishes would be conveyed to the deity. 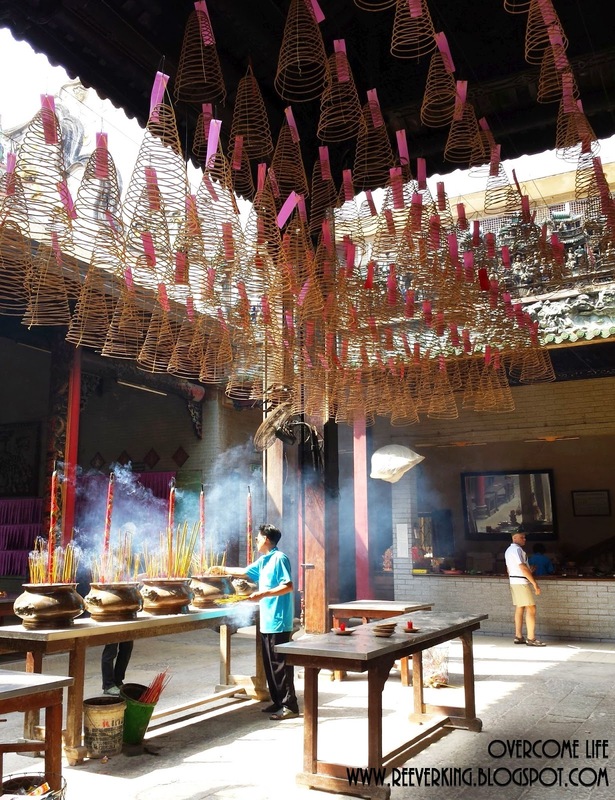 Or otherwise you could purchase normal long stick incense and place it on the bronze bowls provided, just like what three of us did. Both had the same purpose and meaning. 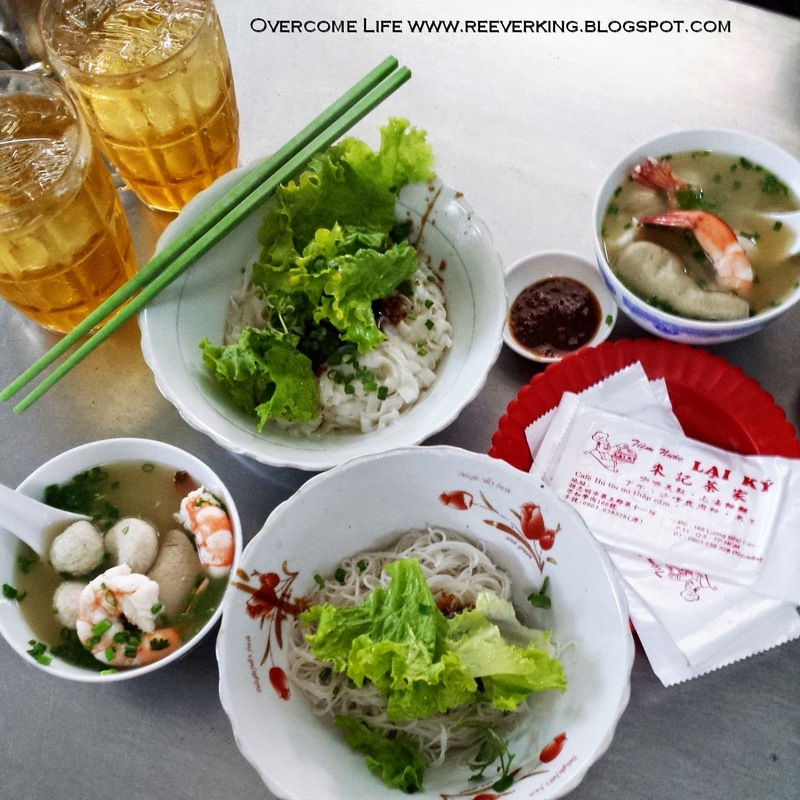 On our way to another temple, we smelled a nice fragrant from a food stall and we saw noodles!!! Oh oh… I was exciting that I finally found yellow noodles in Vietnam (because we always eat rice noodles, white in color, and taste differently). I was asking MG and hubby if they would like to enter, and as usual, they nodded full of agreement. 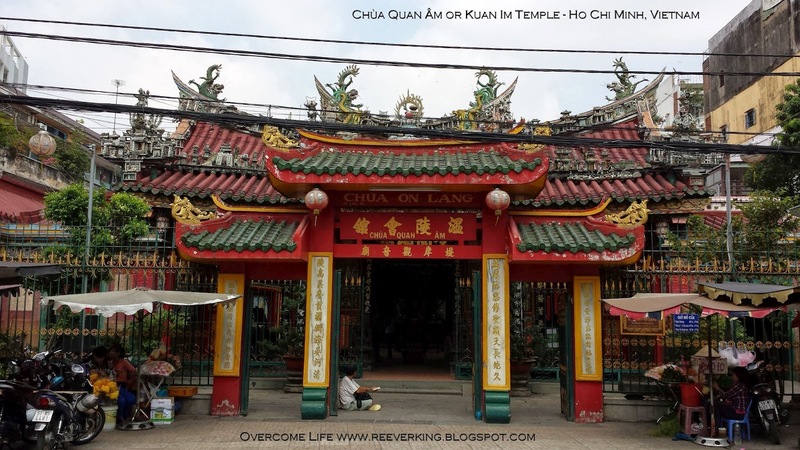 The Quan Âm Pagoda or Chùa Quan Âm (Avalokiteshvara Pagoda or what I usually called Kwan Im Temple) was located very near from the Thiên Hậu Temple, about 5-minute walk. The pagoda consisted of many praying chambers. 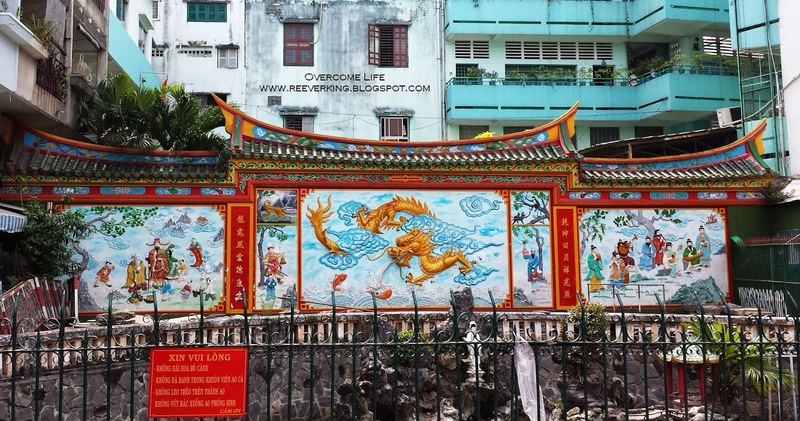 You had to go through the altar for Jade Emperor (Tian Gong 天公)and Thiên Hậu (天后)Goddess before finally reached to large courtyard dominated by the s tatue of Quan Âm and many other deities. 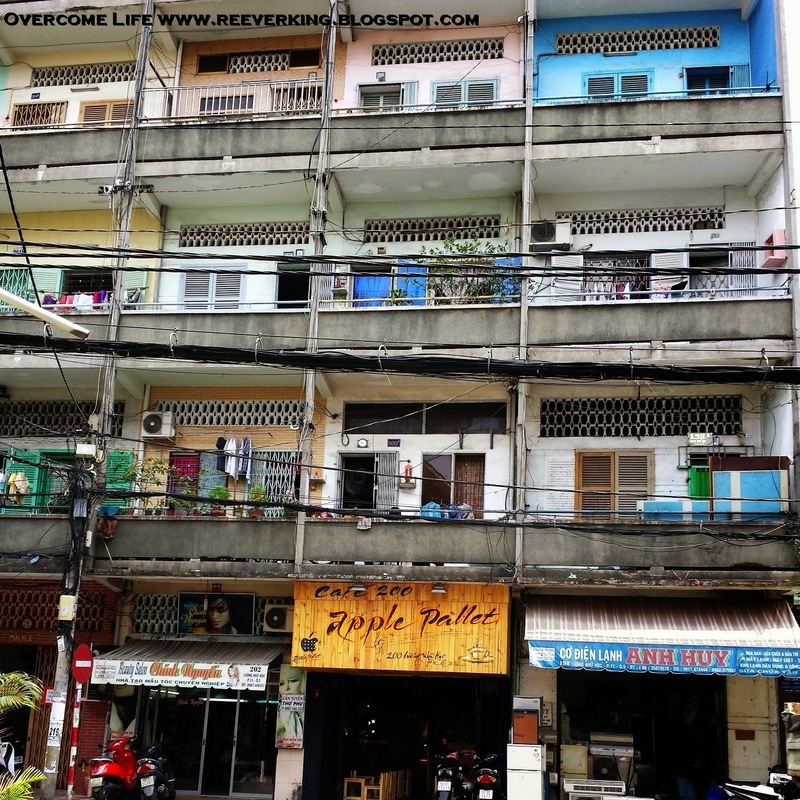 Although it’s believed to be the oldest pagodas in Ho Chi Minh City, the place inside had been restored many times by local residents to preserve its architecture, very visible though. I didn’t take photos inside as I preferred not to take photo of the statues as to respect them. But it was very similar with Chinese temples that we had back in Jakarta and other places in Indonesia. There was a garden and artificial pond at the opposite of the temple. 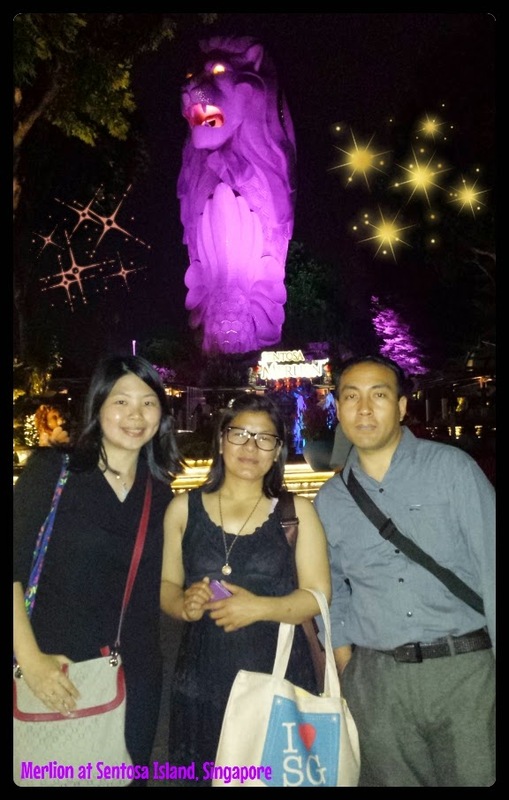 In the middle of the pond there was an artificial miniature island with rocky terrain with Kwan Im statue with beautiful background. Looking at the whole place made me again, feeling like at my home sweet home. I couldn’t find the big wholesale market that I imagined existing there in Chinatown. I thought the building would be significant around there. 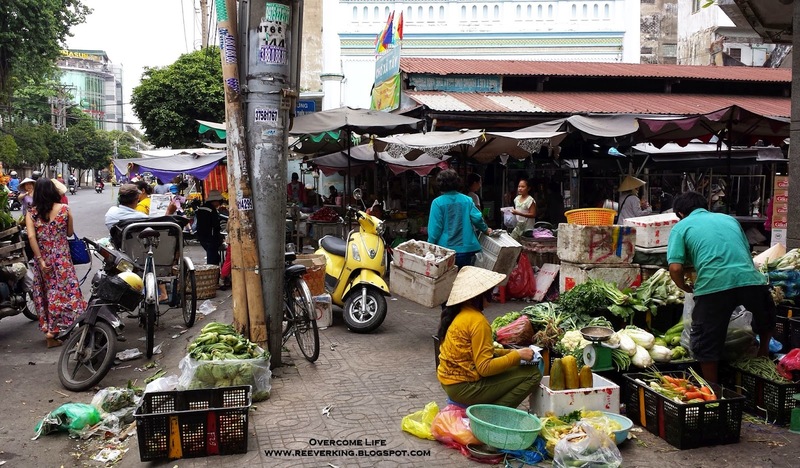 Instead, we walked along the Nguyễn Trãi Street, passing by shops and wet markets. It again reminded me a lot of home. There were areas in Jakarta that look very similar like this. 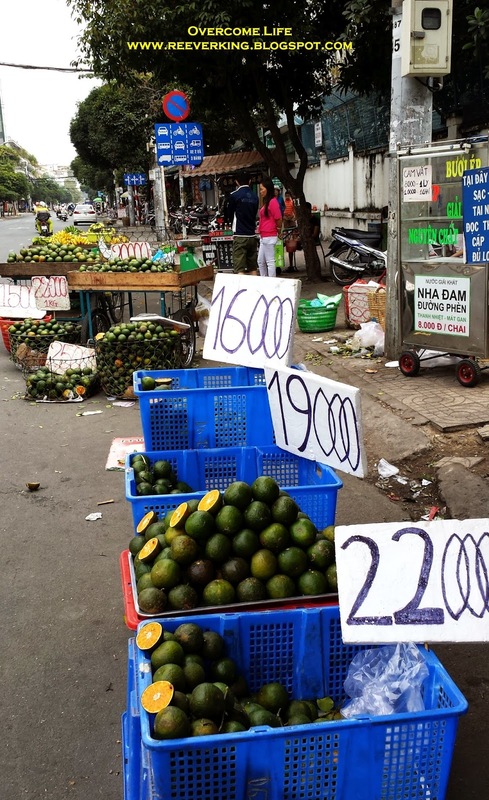 The wet markets were almost the same standard too. 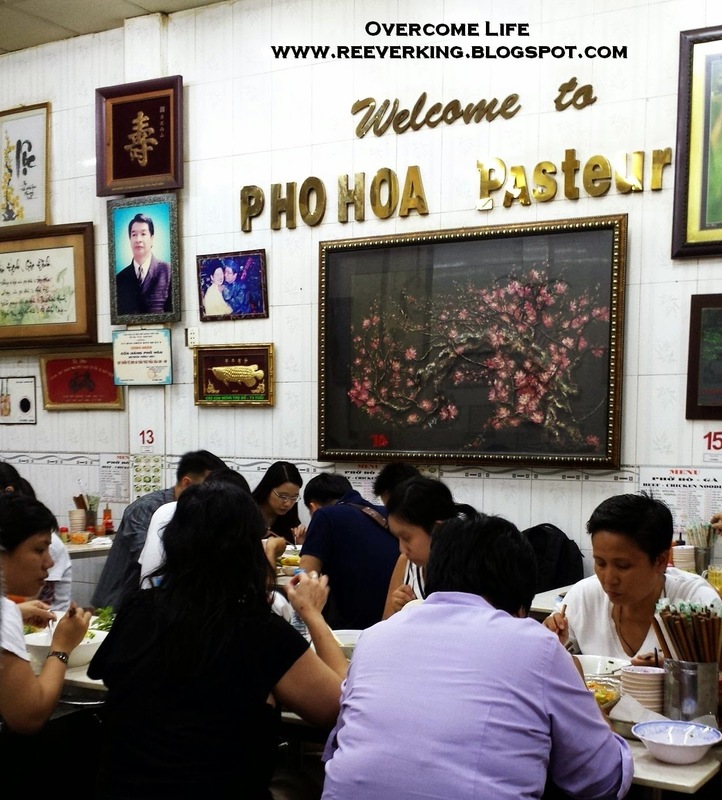 Dadadada.... We finally visited one of the best Pho restaurant in Vietnam!!! It's a family owned type, where the family secret broth recipe was passing down from one generation to another. 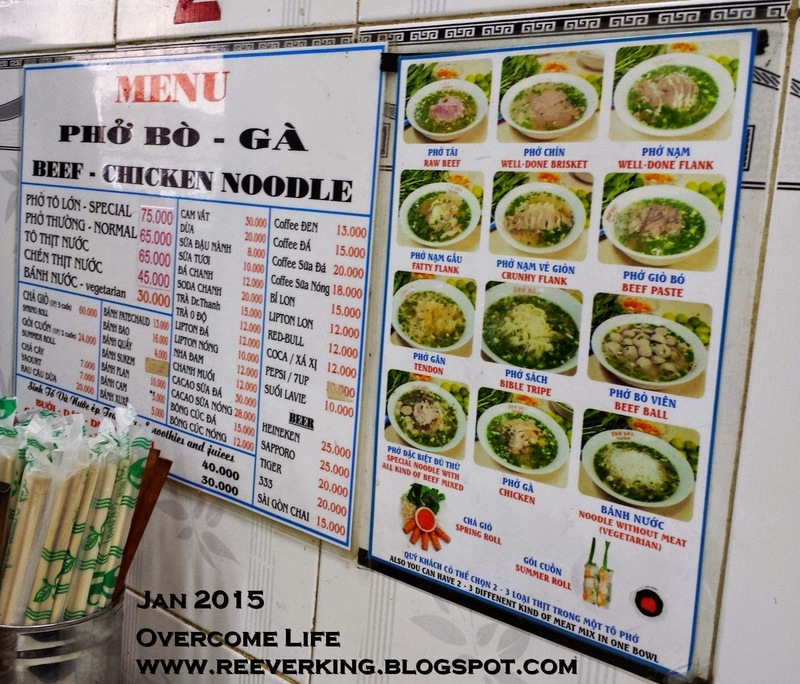 A MUST TRY beef noodle soup located at 260C Pasteur Street, District 1. 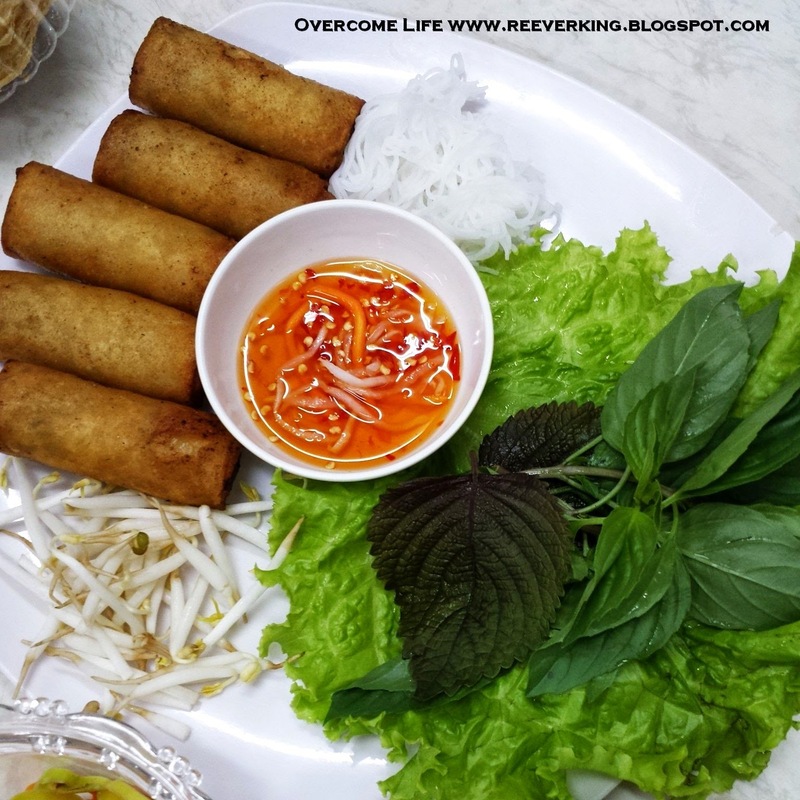 We ordered the Cha Gio or spring roll (VND 60,000 or S$3.75 per portion) as appetizer and personally, it becomes the best spring roll I ever had there. The crab meat inside was simply succulent and delicious!!! 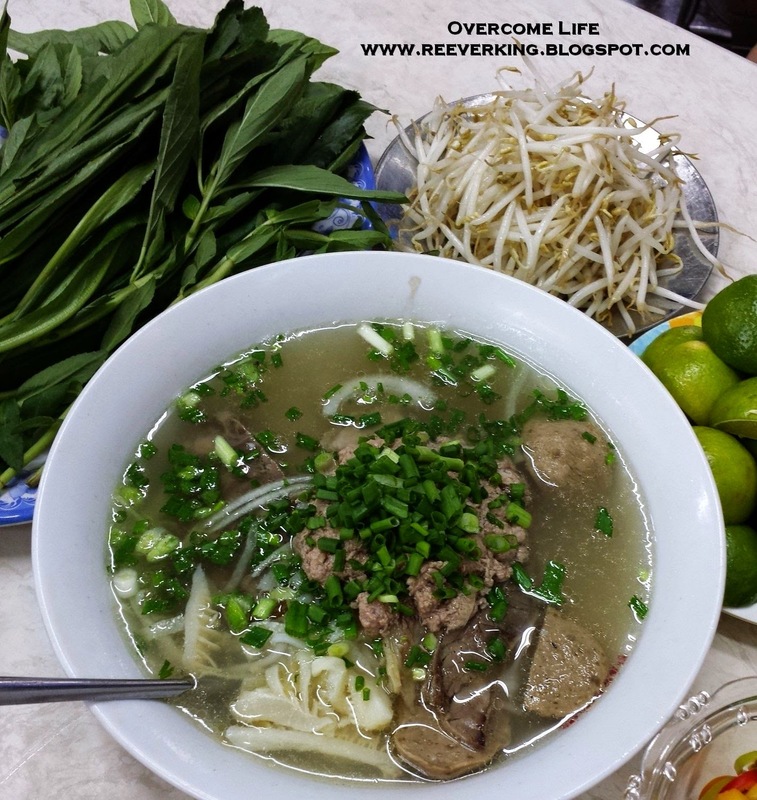 We ordered two bowls of Pho Dac Biet Du Thu (VND 75,000 or S$4.70 per bowl) - the rice noodle soup with all kind of mixed beef inside added with various vegetables, slices of chili, and dash of lime. Hhhmmm...... 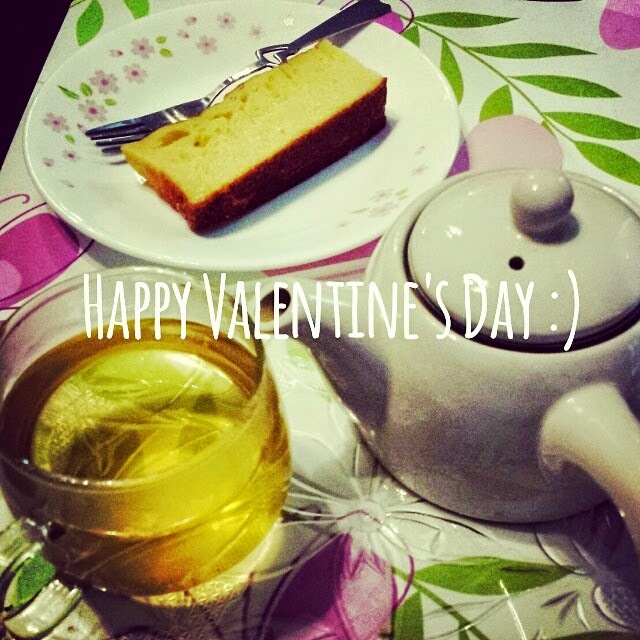 nyummy!!! The portion was quite big, enough for 3 of us. After that late lunch, we headed back to hotel. 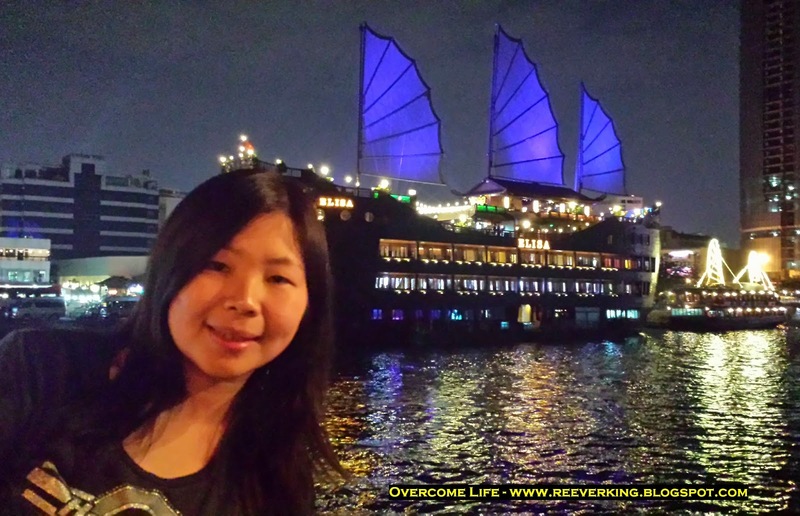 We had a traditional Vietnamese massage appointment at the hotel at 4pm continued with a little rest and last minute shopping before we headed for our river cruise dinner. 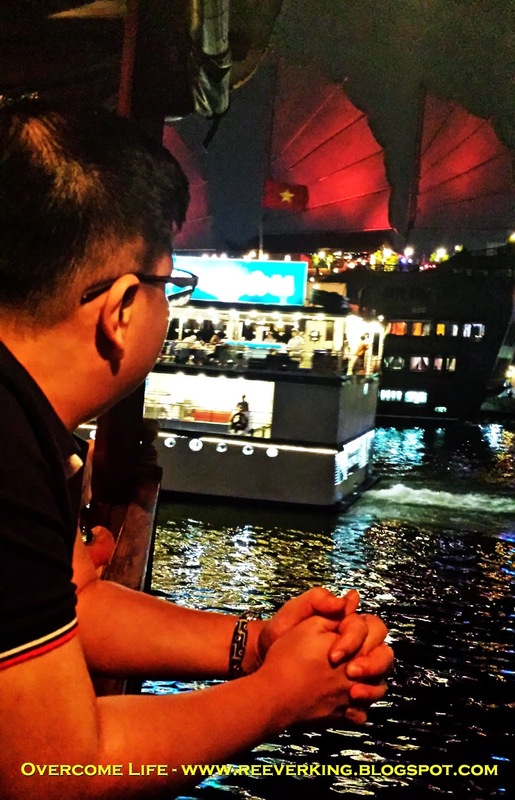 At US$50/pax we booked it from the travel agent as I was curious on what kind of night scenery we would get from river in Ho Chi Minh. I was imagining that it would be as great as the cruise trip I had in Russia not long ago and also curious on what kind of boat we would take. No, no, it wasn't our cruise.. not our boat.. which we thought it was. Lol!!! Our boat was parked beside it, called Bonsai River Cruise. It's made of woods, has oriental design. It was full on the first floor deck and empty on the second. They had buffet spread in the middle, mixture of hot and cold appetizers, main course, and desserts. 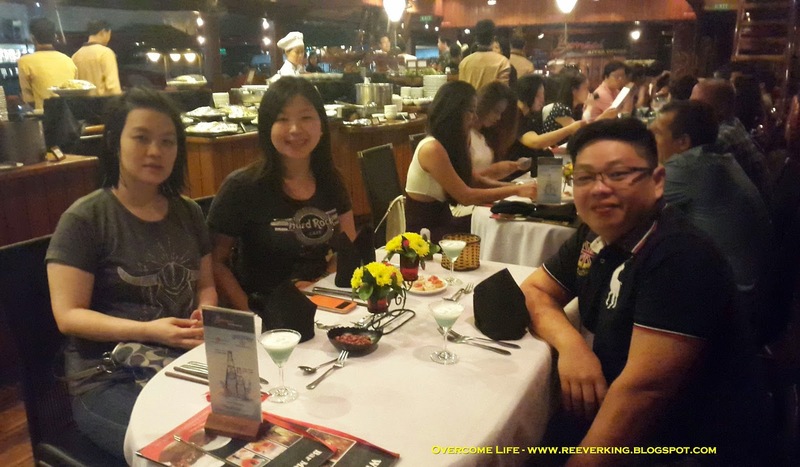 Most of the tables were filled by tourists from the travel agent group and like us, who booked individually. It's around two hours and they had entertainment like interactive dance with guests, live music, even magic. The food was good. But what made me disappointed was that there wasn't much scenery to look at and the boat didn't even go a long way. It's almost the same view over and over again, a very short distance and sailed in tortoise speed. Perhaps, they couldn't offer much due to the limitation of the river. Well, at least now I knew how it looked like and what they offered. Never try, never know! But, not very recommended though. With that amount of money, we could perhaps go somewhere else having a nice food with better ambiance. Anyway... that's how we spent our last night in Ho Chi Minh. 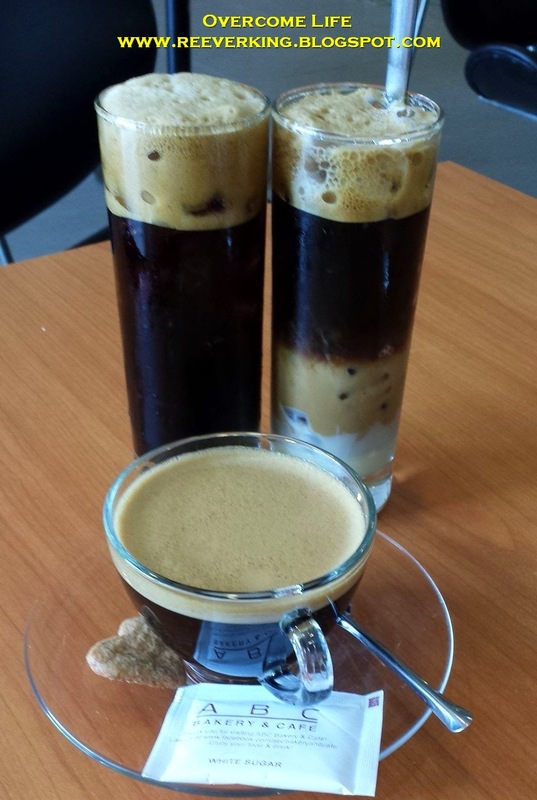 Will continue for another day, our last day there... Stay tune!!! 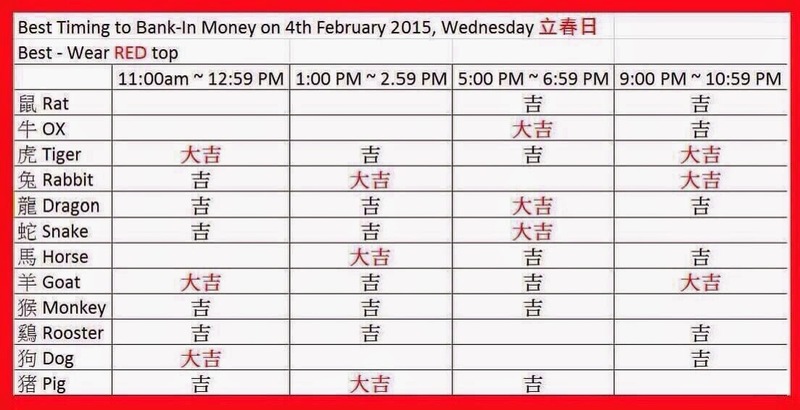 A gentle reminder for those who believe in banking in the money on Li Chun (立春) day and wearing red top, the day will fall tomorrow, 4 February 2015!!! 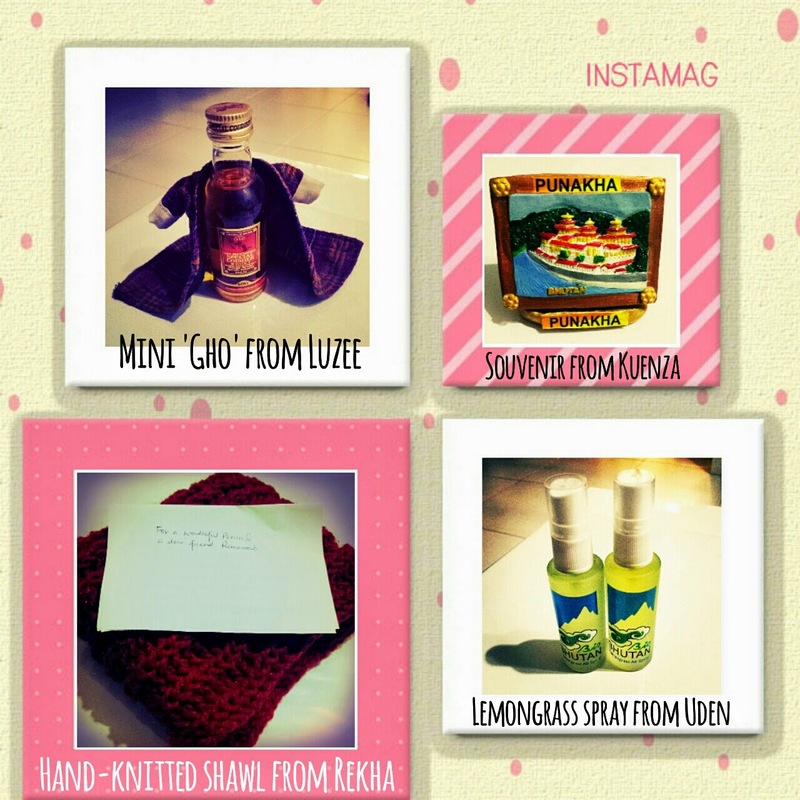 For those who don't know what it is about, please read my previous year's post here.